Our meet the maker series continues with Katie and Anna, the founders of Tea Lab. We’ve had their delicious teas at a few of our past events, and our guests have fallen in love with them. 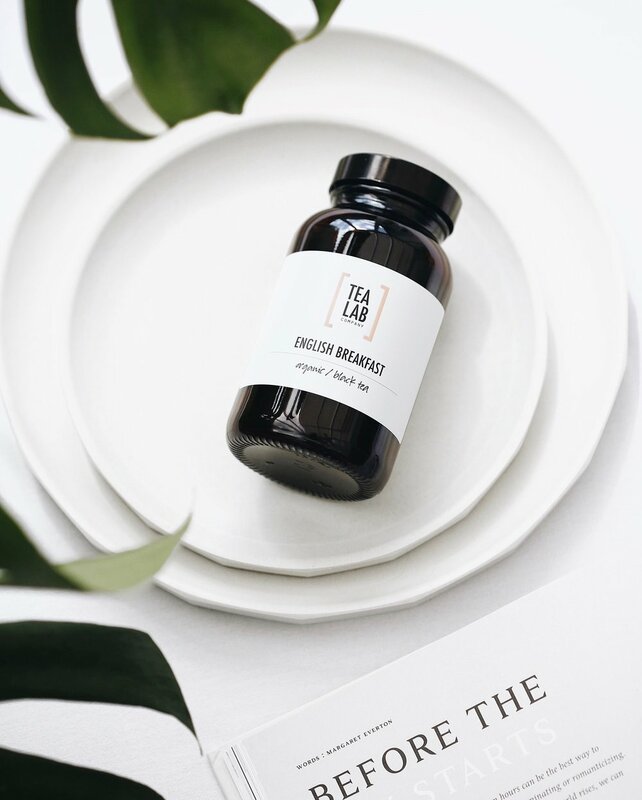 Tea Lab is a blend of all the things we love: great flavours, great design, and good feelings (and, of course, a female duo running a business!). Katie and Anna wanted to create a tea company where the focus was not only on taste but also on the bodily benefits, creating nutrient-rich, healthy tea blends with great taste experiences. Their teas also double as delicious botanicals for recipes! How did the idea for Tea Lab Company first come about? What gave you the kick start you needed to launch? We started the branding for Tea Lab as a final degree show project at Loughborough University & mocked up a store interior – the feedback was amazing and people were trying to order from our demo website. This gave us the kick start for our Tea Lab journey! As a fellow girl power duo, we’d love to know what you love most about working together. Do you have separate roles or do you both chip in across the business? We do both, we work separately and together. We have our own skill sets but an intuitive connection when it comes to a design vision. Also the twin honesty comes in handy! Tell us about your experiences so far - what has been your biggest challenge, and what has been your biggest achievement? We feel our biggest challenge has been starting Tea Lab with such a small team, but we’ve learnt the art of multi-tasking! Our biggest achievement has been the feedback about the brand concept and our customers really enjoying the Tea Lab loose leaf experience. What’s next? Where do you see yourself and your work in 5 years? We’re a British brand and our love of travel will surely take Tea Lab abroad in the coming years. What advice would you give to your 16 year old selves? Would you have known you’d be doing what you do today? To be confident in your ability to pursue the things you love in life, and also not to quit or doubt yourself when it gets tough. We had no idea we would be co-founding a business together, but what a fun journey it is. Now for the controversial one… are you a Cook or a Baker? What are your favourite things to Cook & Bake? We are both bakers! We spent our early years in America and that’s where our love of baking started. Anna’s would be – key lime pie, and mine would be peanut butter brownies! Find out more about what Anna & Katie do over at www.tealab.co.uk, or follow them on Instagram @tealabcompany.